Visual Studio Code>Other>Mermaid PreviewNew to Visual Studio Code? Get it now. 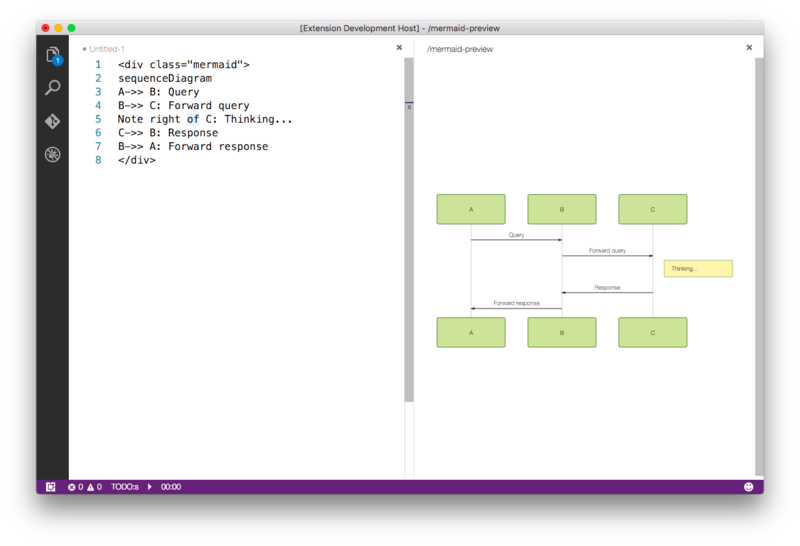 The plugin enables live editing and visualization of mermaid supported diagrams. .. mermaid:: :parameters: are optional sequenceDiagram A-->B: Works! All mermaid configuration options are supported. "themeCSS": "the theme as string"
:warning: The value null for theme disables the authomatic theme detection, so you are responsible for providing a proper theme in themeCSS for all diagrams used in the settings' scope.